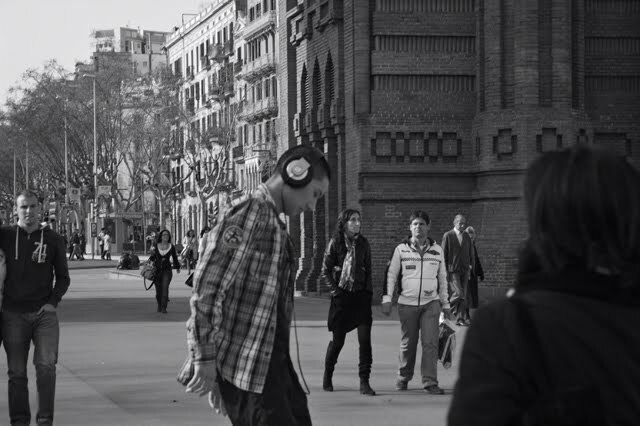 Like a ghost wandering through passers-by along Passeig de Lluis Companys, just in front of Arc de Triomf in Barcelona, goes this guy on his skateboard, isolated from the real world by his high-tech headphones. I like the gentle pose and his detached attitude. Found your blog on Networked blog. I really like your style and will following you more now.